Following the release of Spider-Man: Homecoming I sat down with my resident Comic Book Expert here at The Ark of E (and cousin) Matthew J. Blanchard to discuss The Spider-Man Film Franchise. 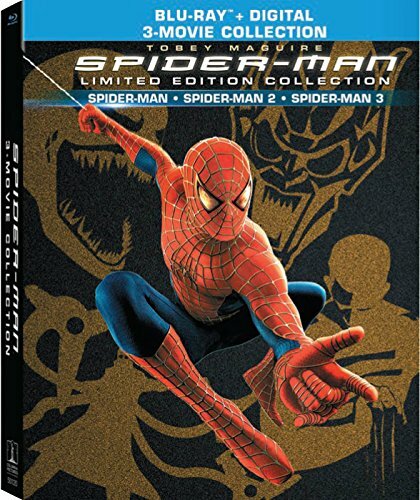 We open with a brief discussion about the 1st live-action Spider-Man (Nicholas Hammond in the 70's TV series The Amazing Spider-Man) before taking a journey through the tangled web of the first 5 & 1/4 films in the franchise (00:00:00 - 01:13:00). Then we get into an in-depth and SPOILER filled review of Spider-Man: Homecoming (01:13:01 - 02:00:40). We wrap things up with some comic-book / movie related banter as well as a behind the scenes look at our planning for future casts and articles (02:00:44 - 02:06:38) Stick around if you enjoy such things.